September in a Tweet: the mainstream goes up against the festival circuit, as the likes of Dredd and Looper take on Holy Motors and The Intouchables. Everyone was talking about... the Paralympics! But also the highly-anticipated Skyfall song, leaked one week early. Best Film: Looper - Rian Johnson delivers his third film and confidently blends the action, science-fiction and indie genres. Best Newcomer: young Pierce Gagnon managing to be both cute and terrifying in Looper. Biggest Surprise: Dredd - it won over the 2000 AD fans and left audiences wanting more. Best Scene: the various drug sequences in Dredd - beautifully-rendered and a great use of 3-D.
Other Best Scene: a future looper rapidly loses his limbs as his past self is chopped up by henchmen. Utterly horrific. Best Cameo: Jeff Daniels acting against type as a time-travelling mobster in Looper. Best Line: 'Ma-Ma is not the law... I am the law!' - Judge Dredd (Karl Urban) in Dredd. We knew it was coming but it sounded good coming from under that helmet. 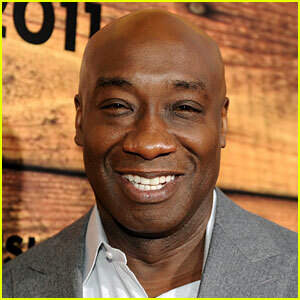 RIP: Michael Clarke Duncan - suffered a heart attack at the age of 54. Duncan will be immortalised by his Oscar-nominated performance as John Coffey in The Green Mile.